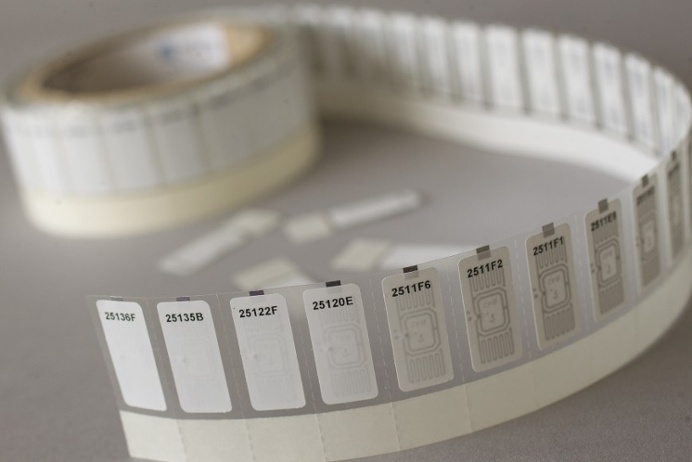 Like all technology, Radio Frequency Identification (RFID) continues to advance, and at the forefront of this progress are thought leaders like participants in the RAIN RFID Alliance. The RAIN RFID Alliance is a global group of companies committed to working together to harness the power of ultra-high-frequency (UHF) RFID as a tool that advances the Internet of Things (IoT) and promotes the good of users by collecting and tracking important data. RAIN RFID is a technology based on a UHF RFID protocol standard developed by GS1 and the International Organization for Standardization (ISO). It and partner Impinj are at the heart of Intelliguard® RFID Solutions. Impinj, the company that makes the microchips inside Intelliguard® RFID Solutions tags and readers is a founding member of RAIN and MEPS Real-Time, Inc. is a charter member (#8 to be exact) with our Intelliguard® RFID Solutions. Thus, the two companies have been working together since RAIN was first launched in 2014. It is important to note that in addition to being the name for an alliance, RAIN is also used interchangeably to refer to UHF RFID technology in general. “At MEPS, our passion is medication error prevention systems, and our mission is to improve the quality of patient care. We see RAIN as an integral part of that equation. RAIN is changing the way pharmaceutical distribution processes are managed,” said Paul Elizondo, the Vice President of Research and Development for MEPS Real-Time, Inc. and the current chairman of the RAIN Alliance healthcare workgroup. Sixteen years ago, ISO set out to establish the standards for worldwide RFID frequencies, and Chris Diorio, the CEO of Impinj wrote the RFID protocol that set the UHF standard widely used today. “Impinj designs the highest performing ICs (integrated circuits) for both readers and tags, and is a technology leader in RAIN, which is why we chose them for Intelliguard® RFID Solutions,” said Elizondo. The ability to make decisions quickly becomes especially important in the realm of healthcare, where a single decision can result in a life saved or lost. In addition to building custom antennas ideal for healthcare needs, Intelliguard®RFID Solutions employ the smallest proven RFID tag to support large volumes of small vials in crowded drawers to be read quickly, easily and most importantly — accurately. “The synergy between our antenna systems and Impinj readers creates a robust and reliable system for repeatedly identifying large numbers of RAIN tags on medications,” said Elizondo. MEPS Real-Time, Inc. clients (now numbering more than 300 hospitals in North America) enjoy a wealth of benefits resulting from the dynamic duo of Intelliguard® RFID Solutions featuring Impinj RAIN technology inside. “MEPS proprietary antennas, healthcare expertise, and suite of RAIN-enabled solutions combined with Impinj RAIN technology ensures we’re providing our customers with the highest level of performance possible for speed, accuracy and reliability critical in the healthcare inventory where patient safety is at risk,” said Elizondo. Research has shown that hospitals that use RFID to automate, validate and manage drug inventories reduce the risk of human error from their drug management processes and increase patient safety. Learn more about how RFID is being used in healthcare, RAIN and how it can benefit your hospital pharmacy at our website. Learn more about Impinj at www.impinj.com.